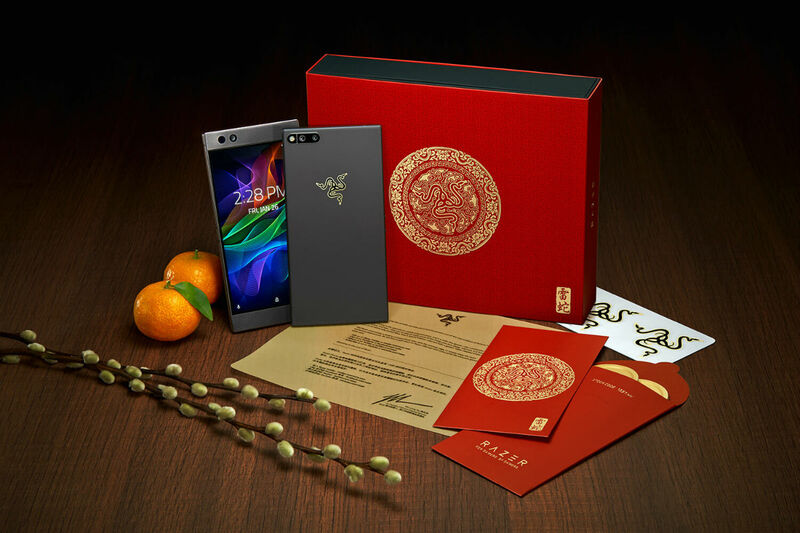 To celebrate Spring Festival in China, Razer has launched a limited edition Razer Phone for anyone to purchase, featuring a gold Razer emblem on its backside. At the same $699 price as the standard Razer Phone, it’s all the same phone with exception to the gold logo on back. If you aren’t up to date on the Razer Phone, the specs include a 5.7″ QHD IGZO LCD UltraMotion display (2560 x 1440, 120Hz refresh rate), Snapdragon 835 processor, 8GB RAM, 64GB storage (expandable supported), dual rear-facing cameras (12MP f/1.75 Wide + 13MP f/2.6), 4,000mAh battery with Quick Charge 4+, dual front-facing stereo speakers, fingerprint reader, and Android 7.1+ Nougat. The Razer Phone’s Oreo update should also be in the works, so that’s something to keep in mind. If you’re interested in this Gold edition, be sure to check out our complete Razer Phone review. Follow the link below to buy it directly from Razer.